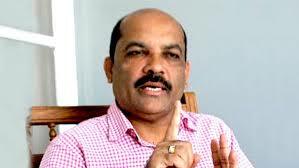 UNP Minister Palitha Range Bandara’s son Yasodha and three others had been arrested by the Anamaduwa Police this evening in connection with a road accident in which a 42-year-old man had been killed. Police said the Land Rover which was allegedly driven by the minister’s son had run over the victim, identified as Gamini Wanninayake, on Dharmapala Place in Anamaduwa. According to police, the victim was an employee of a shop in Anamaduwa. He had been returning home on a bicycle when he was knocked down and run over. He was declared dead on arrival at the Anamaduwa Hospital. The suspects had been arrested at the Palugashandiya Police checkpoint when fleeing towards Nikaweratiya.